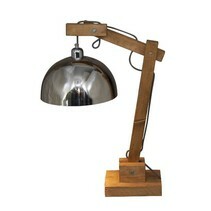 Are you looking for a design table lamp to enlighten your office desk? This design table lamp dimmable white 4W 40,5cm is a gain for every interior and can be ordered in white at My Planet LED. We are one of the biggest online LED light shops and we deliver your order as well nationally as internationally. Our customers say we provide an excellent personalized service! 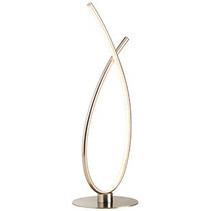 This design table lamp dimmable white 4W 40,5cm has a very trendy look. 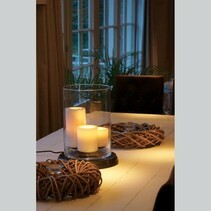 It has 1 strip light at one side and this emits a nice, warm white light colour. The backside is nice rounded. 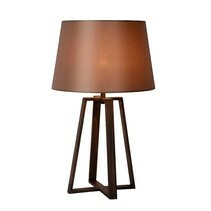 The height of this design table lamp is 40,5cm, the diameter is 7cm. It''s equipped with a LED module of 4W which has a light intensity of 400 lumen, which is a lot. 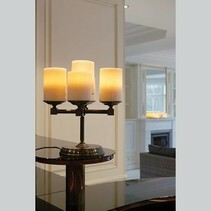 In addition, it has a dimmer which allows you to get a less powerful light. The available colour is white. 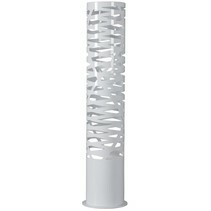 You can buy this design table lamp dimmable white 4W 40,5cm at my Planet LED. You can choose yourself the payment method. The possibilities are versatile. Do you have more questions? Do not hesitate to mail us (info@myplanetled.com) or by phone (+32) 57 466 866 in order to obtain more information about this design table lamp dimmable white 4W 40,5cm.